In 8-inch nonstick skillet cook walnuts and sugar over low heat about 10 minutes, stirring constantly, until sugar is melted and walnuts are coated; cool and break apart. 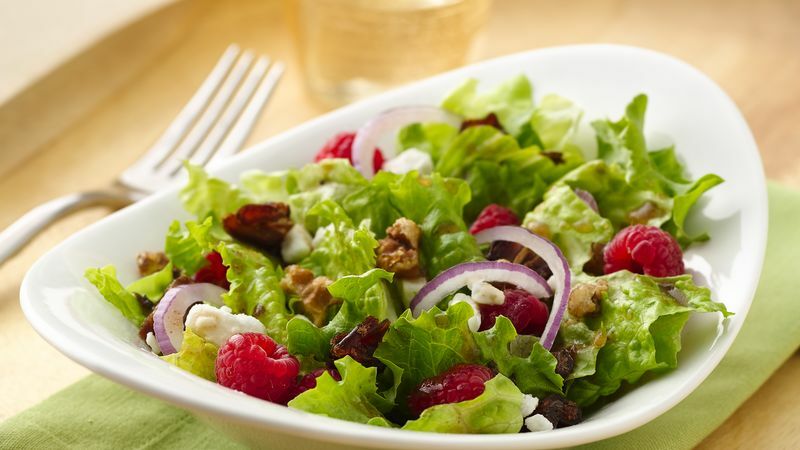 In large bowl, combine salad greens, raspberries, onion and dates. Just before serving, pour dressing over salad; toss gently to coat. Top with cheese and walnuts.